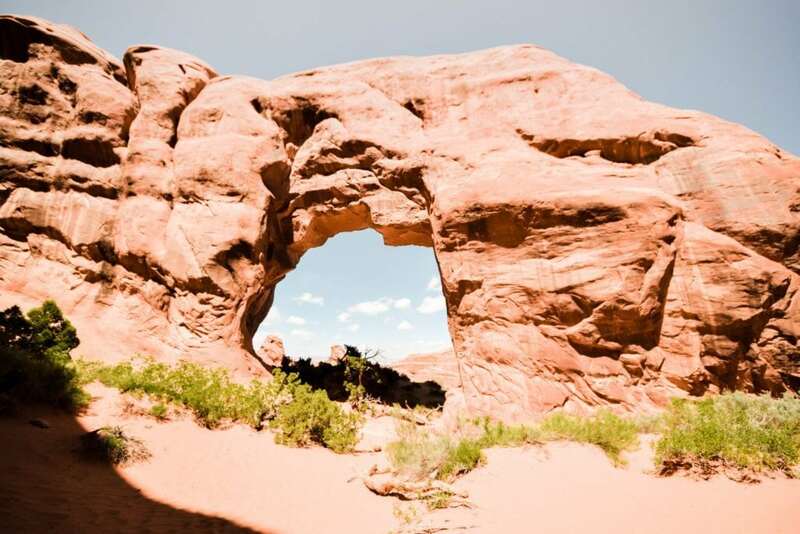 I’d seen pictures of Arches National Park for months leading up to our Canada and America trip. I was also pretty desperate to get out and do some hiking, cities are great for walking and all but it’s not the same as a good ol’ hike. 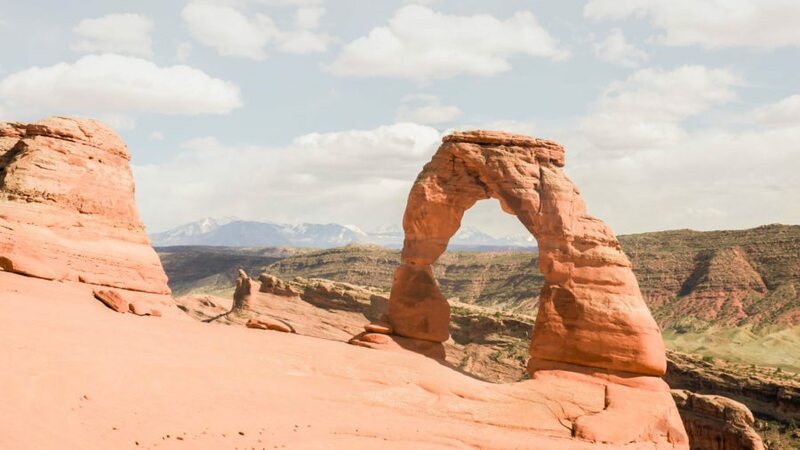 I’d done a little bit of research and seen that the Devil’s Garden Loop in Arches National Park seemed like the one to do. 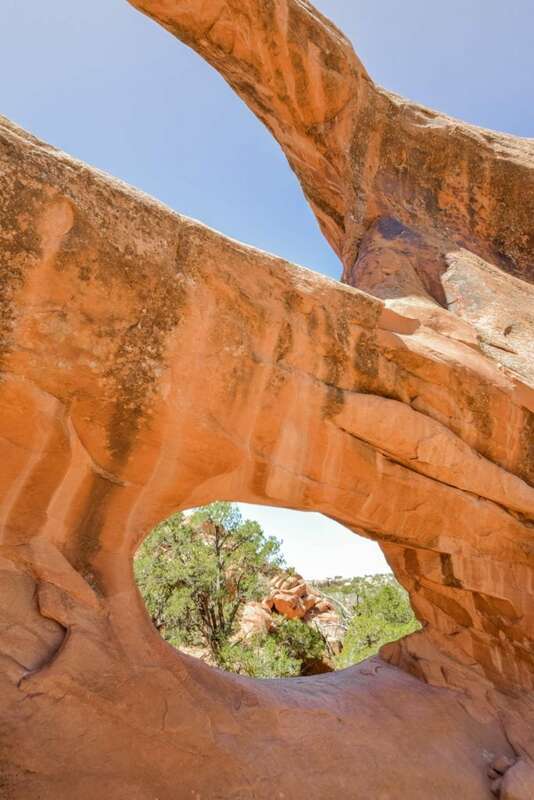 It was the longest, had loads of arches to see and (apparently) the most difficult. I love a good hiking challenge. 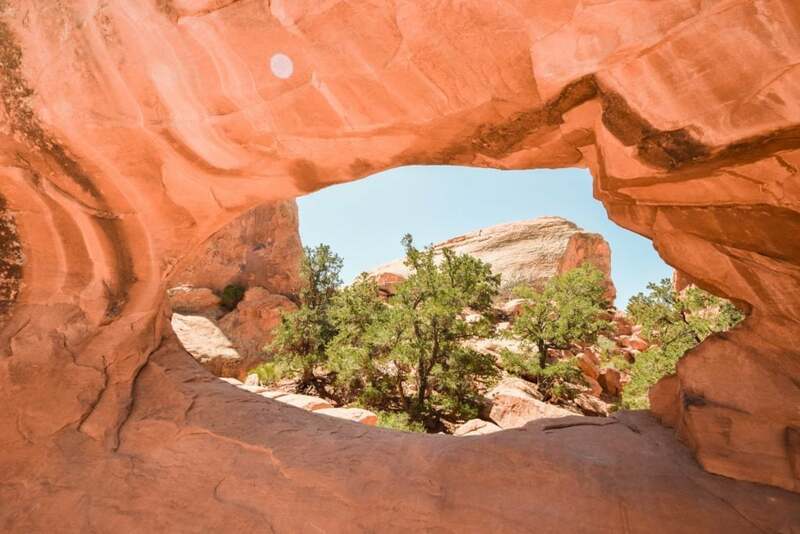 The National Park Service says that “The Devils Garden Trail leads you between sheer walls of sandstone fins”. That sounded pretty cool to me. 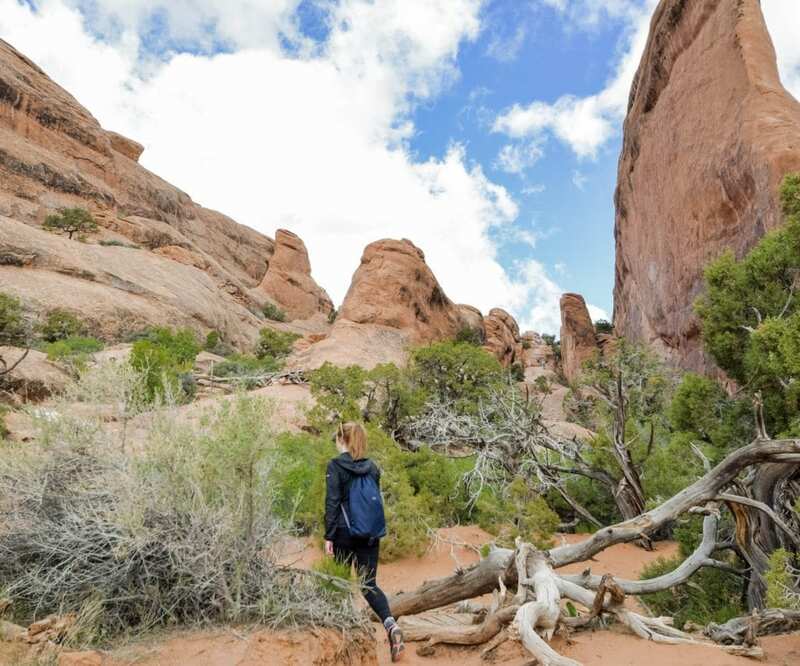 The hike is 7.2 miles in total (11.5km) and although parts of are steep and you need to clamber over the odd rock here and there, it’s really not too challenging. 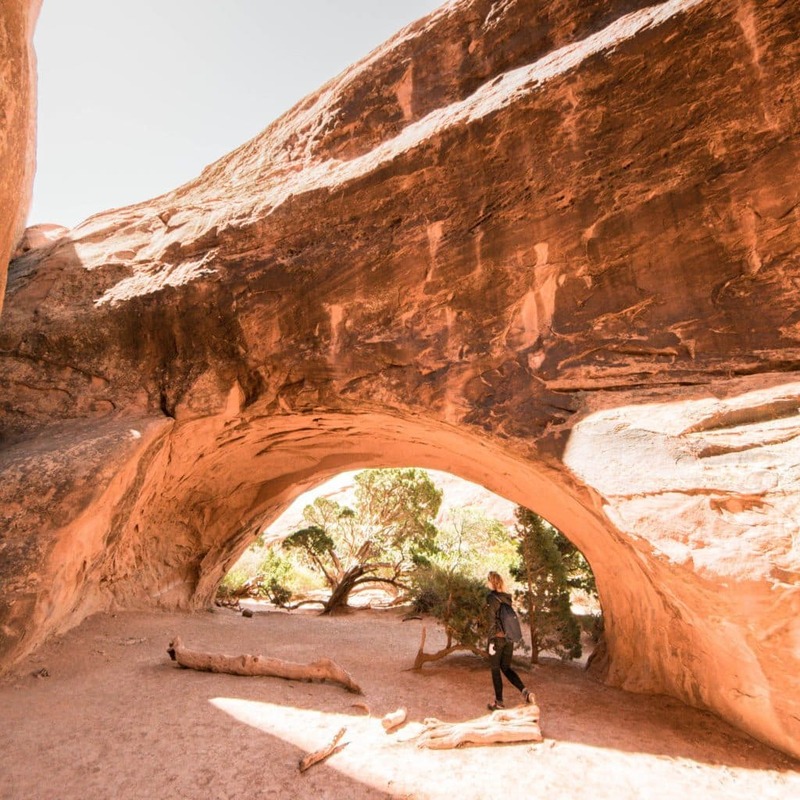 The first part of the hike is paved until you reach Landscape Arch. After this the hike is what’s described as “primitive”. 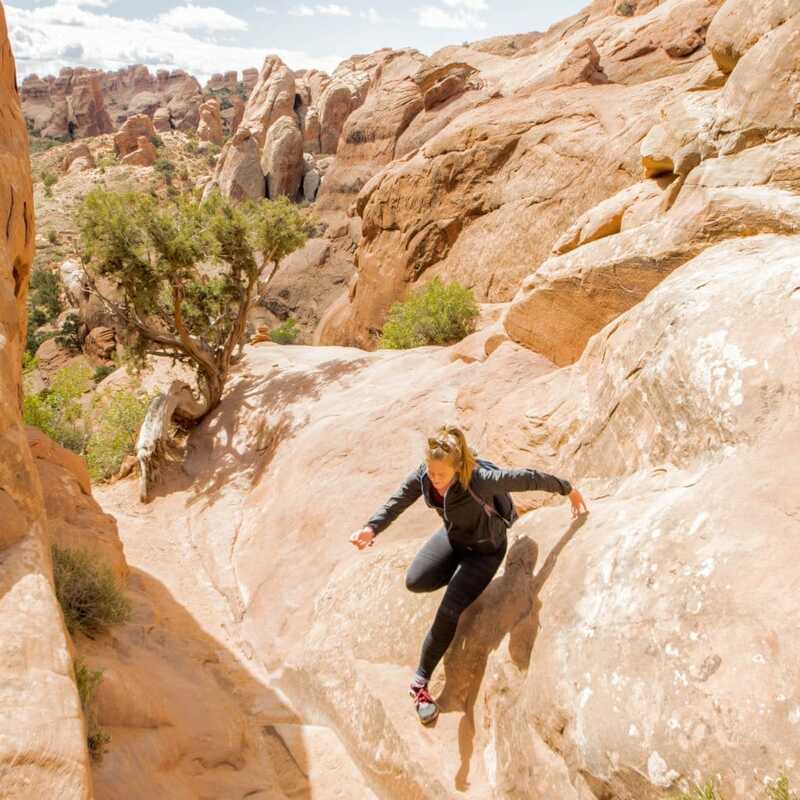 This means there’s no paved trail and you can expect to have to work your way around slick rocks and drop offs. 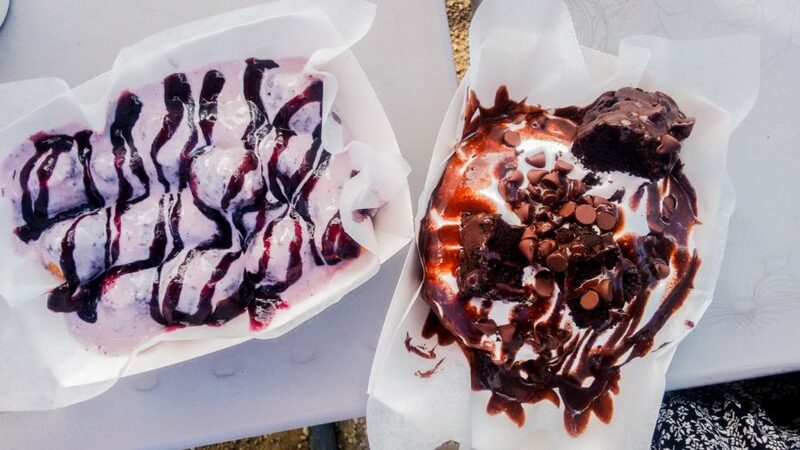 You don’t need to worry about getting lost at all. There are plenty of signs and enough people around that you can’t go too far wrong. But, having said that, there are plenty of times you’ll be walking and not see anyone around you. It’s pretty perfect. 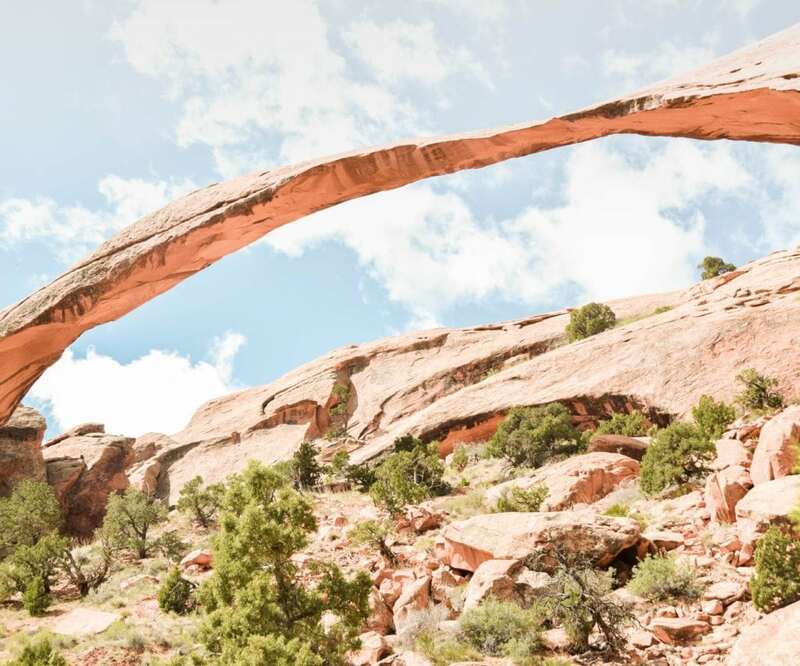 You’re most likely to be either camping near Arches or staying in a hotel in Moab. 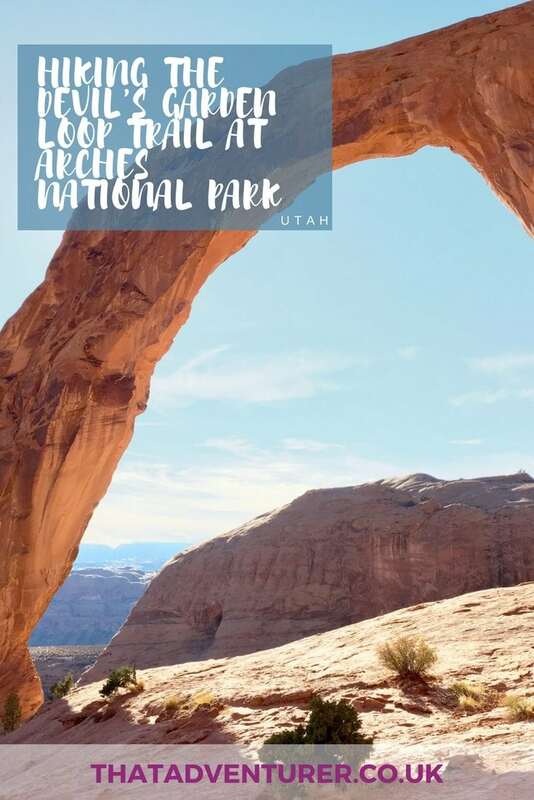 Take a look at my guide to Moab if that’s where you’re basing yourself while visiting Arches National Park. 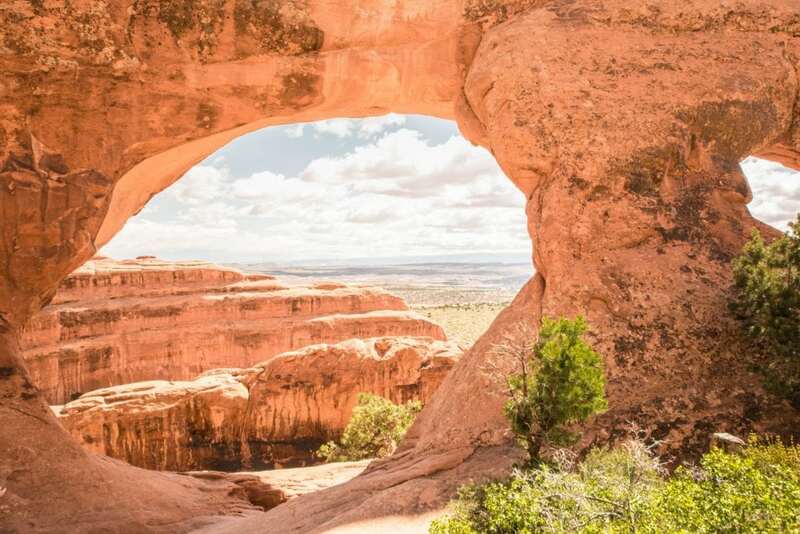 Here’s a few suggestions of top hotels near Arches National Park. 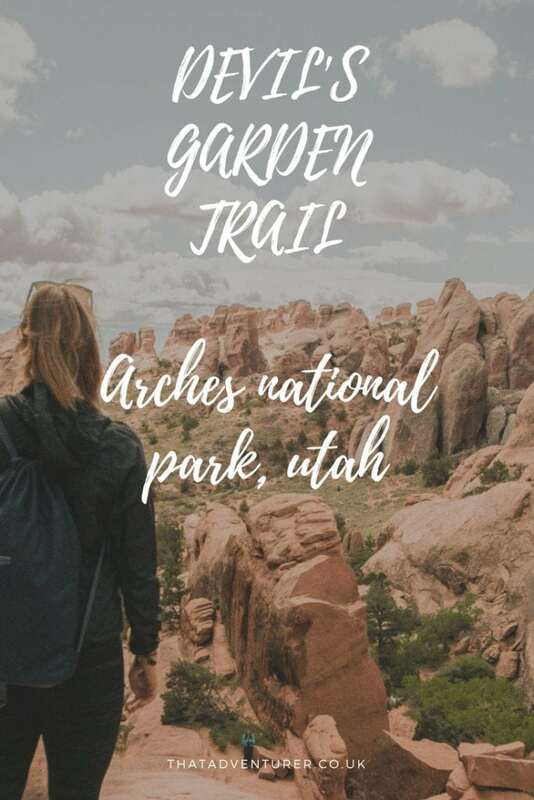 If you’re camping in an RV or didn’t manage to get a camping spot at Arches National Park then take a look at Up the Creek campground. 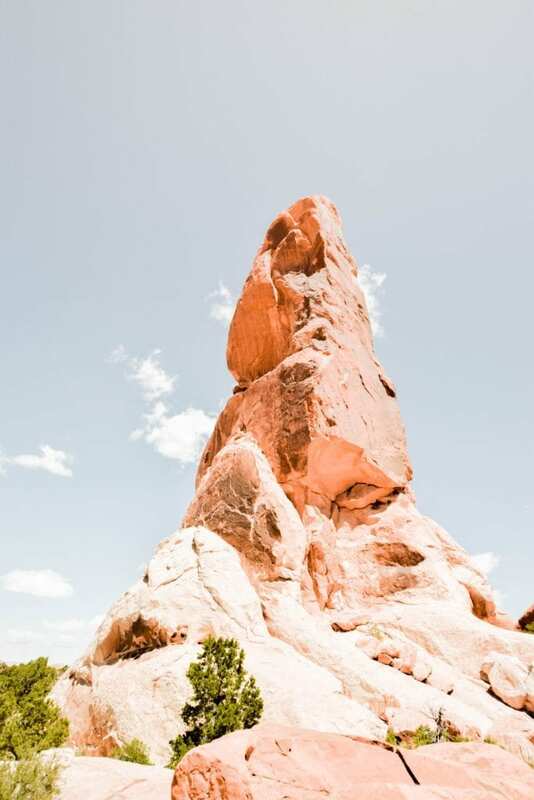 It’s a campground in Moab which is within walking distance of the best restaurants and shops in the town. 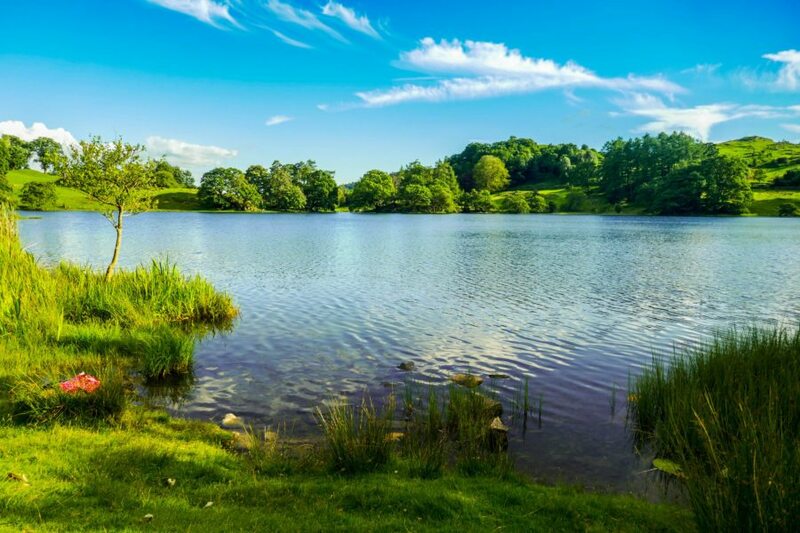 Here you’ll get hot showers, proper toilets and more – luxury camping! 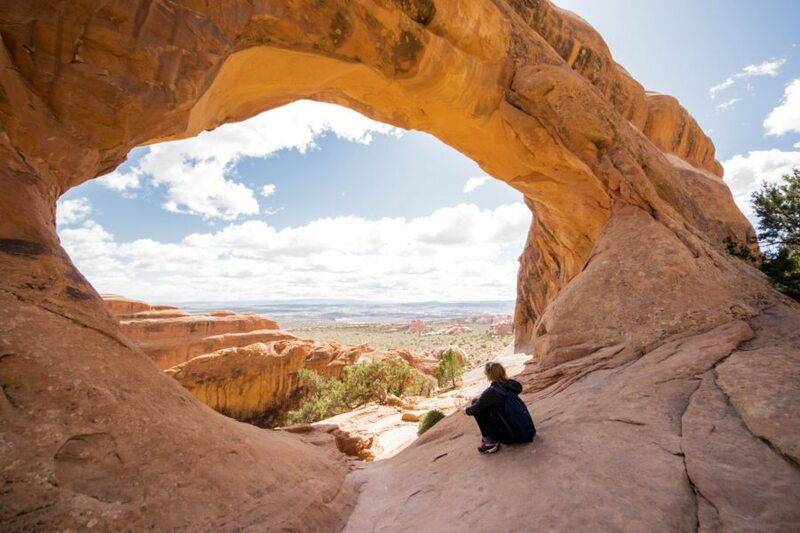 Thanks for sharing, I’m craving a hike like that! It was such a fun hike! So incredible!! Your pictures are making me super excited. 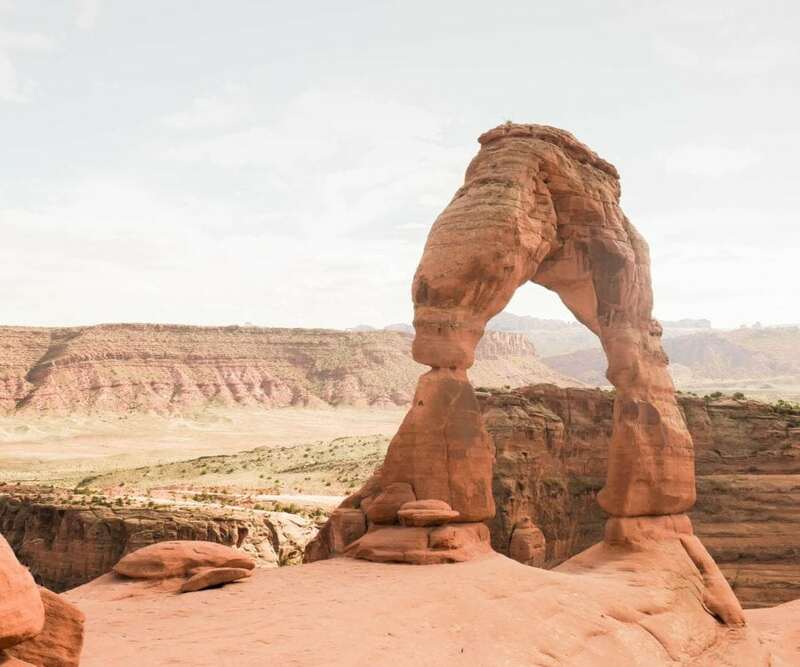 Did you do the Delicate Arch Trail as well? We did yes! Actually on the same day as this one. totally worth the 3 additional miles!